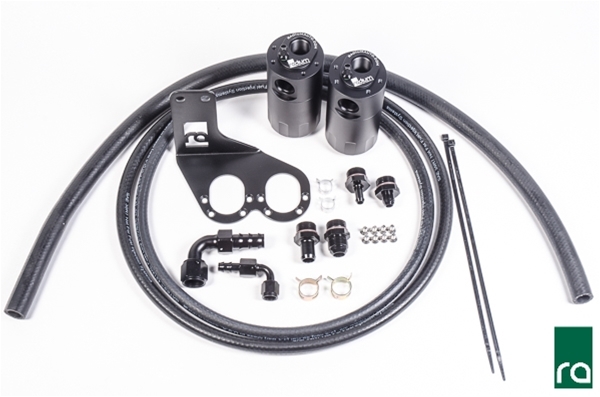 This specific dual catch can kit is designed for the Lotus Evora and includes a specialized mounting bracket as well as all necessary hoses, fittings and hardware. 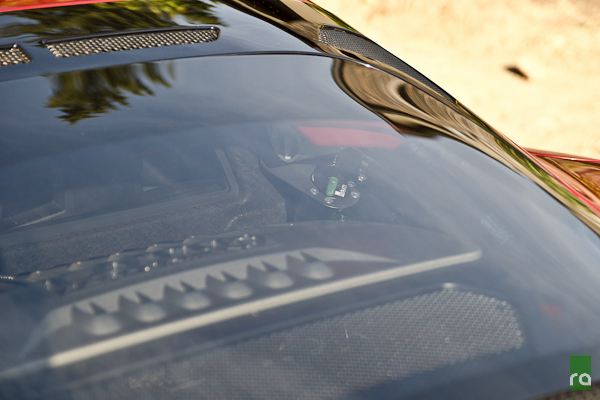 It is compatible with both the Evora and Evora-S (supercharged). 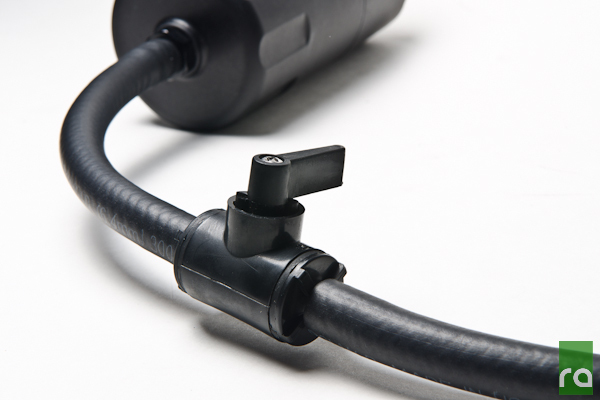 This kit, sold seperately, can be used to remotely drain the catch cans without the need to unscrew the canister bodies. There is an option to put the petcock on one or both catch cans (single or dual). This is best used if the cans cannot be easily accessed.